The Blackmagic Production Camera 4K creates visually lossless compressed CinemaDNG RAW and ProRes 422 (HQ) files that are perfect for editing and grading with the software tools you already own. The Blackmagic Production Camera 4K is precision engineered for quality in an incredibly small size. You get a beautifully crafted design featuring a machined aluminum chassis, EF lens mount for interchangeable optics, high resolution 4K Super 35 size sensor, global shutter, visually lossless compressed CinemaDNG RAW and ProRes 422 (HQ) file format. With built in uncompressed audio recording you can record professional audio straight to the ProRes files and totally eliminate separate audio syncing during post production. 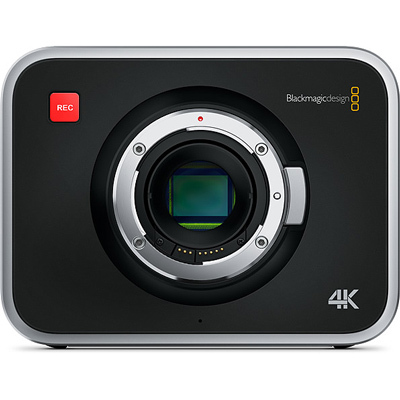 Blackmagic Production Camera 4K is available for hire from RENTaCAM Sydney. Check out these Blackmagic Production Camera 4K packs for rent. - Storage Rates - 5 MB/frame in RAW 2.5K fits about 30 minutes of 24p video on a 256 GB solid state disk. Compressed HD formats fit more than 5 times the amount of RAW video. 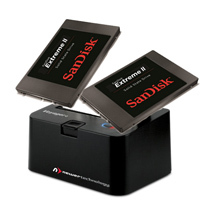 The Extreme Solid State Drive from SanDisk is a fast Solid State Drive (SSD) with 480GB of storage capacity. Taking advantage of the 6Gbps SATA interface, the SSD provides fast, reliable, and efficient data storage and retrieval. Unlike traditional hard drives, SSDs feature no moving parts, providing quiet, cool, and durable storage. SanDisk Extreme SSD works perfectly with Blackmagic Production camera 4K and is now available for hire or rent from RENTaCAM Sydney. - Storage Rates for Blackmagic cinema camera - 5 MB/frame in RAW 2.5K fits about 55 minutes of 24p video on a 480 GB solid state disk. Compressed HD formats fit more than 5 times the amount of RAW video. 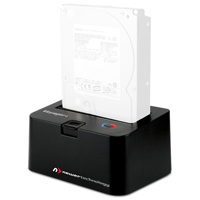 The Voyager Q Quad Interface Dock for 2.5" and 3.5" SATA and SSD Drives is an extremely convenient way to access data on an internal drive without having to install that drive into your computer. 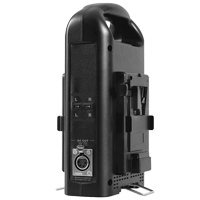 Voyager Q Quad Interface docking is compatible with SanDisk Extreme SSD and is now available for hire or rent from RENTaCAM Sydney. 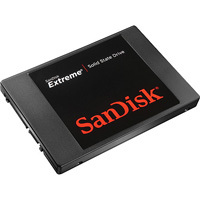 The Extreme Solid State Drive from SanDisk is a fast Solid State Drive (SSD) with 480GB of storage capacity. Pack of 2 x SanDisk Extreme Solid state drives with Voyager docking station works perfectly with Blackmagic Production 4K camera and is now available for hire or rent from RENTaCAM Sydney. 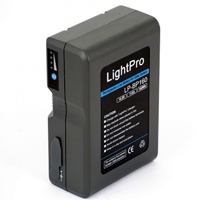 LightPro LP-BP160 V-Mount Li-ion battery is designed for professional cameras. It has no memory effect. LightPro V-lock battery features 4 level LED power indicator, intelligent control and protection circuit and temperature, current and voltage protection. 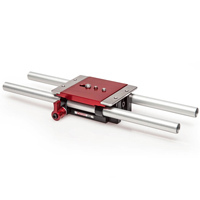 Lightpro V-lock LP-BP160 is now available for hire from RENTaCAM Sydney. This charger is designed to recharge two V-Mount type Li-ion batteries simultaneously. The camera can be powered directly via DC Output connector. Offers a built-in regulated 70 watts 14.8 VDC output power supply via a 4-Pin XLR connector, eliminating the need for a separate power supply. V-lock battery charger is now available for hire from RENTaCAM Sydney. 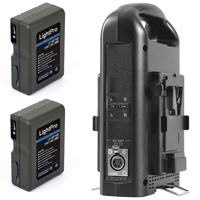 LightPro LP-BP160 V-Mount Li-ion battery is designed for professional cameras. This charger is designed to recharge two V-Mount type Li-ion batteries simultaneously. 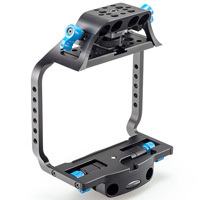 The ultraCage | blue for Blackmagic Production Camera 4K is the ultimate mounting and accessory cage for your new Blackmagic Design Production Camera 4K. The ultraCage | blue delivers unparalleled support and stability so your Blackmagic Production Camera 4K can be used as a professional-level production camera. Redrock Micro ultraCage for Blackmagic Production Camera 4K is now available for hire or rent from RENTaCAM Sydney.